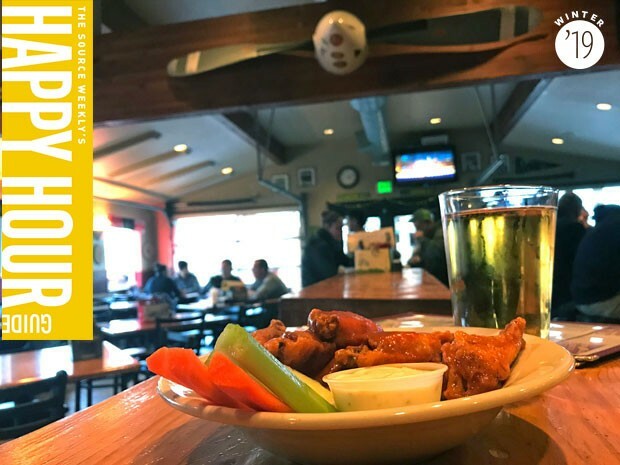 If you're a Redmond resident, there's a good chance that you're also a frequent flyer at Cascade Lakes Brewery's 7th Street Brew House. The brew house, opened in 1996, won second place for "Best Bar / Brewpub" in the Source Weekly's 2018 Best of Redmond readers' poll and is a favorite among locals and visitors alike. 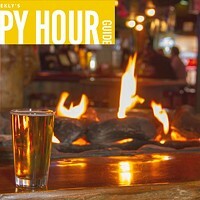 This comfortable downtown Redmond drink spot offers a spacious patio, complete with horseshoes and a fire pit. Inside, the bar is filled with sports memorabilia and some interesting items donated by pub regulars over the years. The propeller hanging in the center of the dining room was donated by regular Dan Baigley, who reconstructed the piece after it was damaged during a plane landing and a collision with a deer. The Pulaski and shovel hanging next to the propeller belongs to regular Ward Monroe, who retired from the Forest Service in '99. If you look closely, you'll find other marks of the Forest Service in the pub. The Hot Shot Burger on the menu hearkens back to the days when the Redmond Hotshots regularly frequented the pub, along with the Redmond Smokejumpers and other Forest Service employees. There are a handful of televisions above the bar and main seating area, making this a good spot to watch the game or grab a drink with a group. 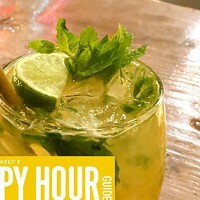 For those looking for a solid happy hour, 7th Street Brew House offers one daily from 4-6pm. 20-ounce beers are a mere $5 and their Eat 4 Cheap! Menu includes ¼ lb. burger for $4.95, potato skins for $6.95, top sirloin steak fingers for $7.95 and chicken wings for $6.95. Looking for more drink spots? 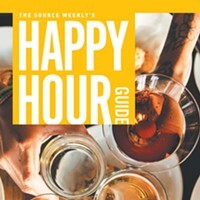 Find a happy hour near you with the Source Weekly's Happy Hour Finder.